First Listen: Rockie Robbins returns with the "One"
(April 12, 2019) Thirty-eight years ago, Minneapolis-based singer Rockie Robbins rocketed up the charts with the smash single “You and Me.” It began a string of hits for the talented vocalist that ended too soon for our taste. By the mid 90s we had lost track of Rockie, so we were both surprised and ecstatic when we heard a few months ago that he was working on his first new album in a quarter century, working with the intrepid UK label, Expansion Records. 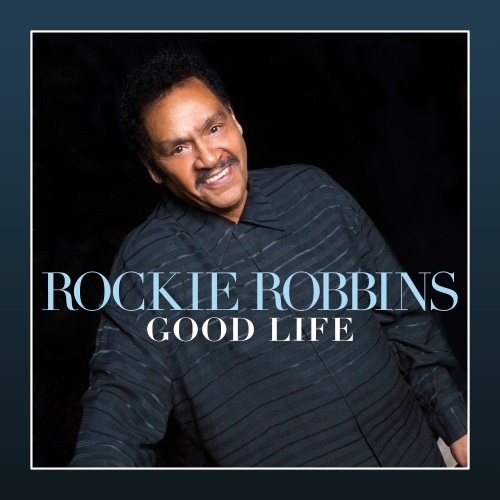 The album Good Life should get Rockie’s longtime fans cheering. It recalls the infectious melodies of his best work, and fits nicely in the adult soul groove that is Expansion’s forte. The second single from the album is a midtempo that puts Rockie’s expressive vocals on top of a cool backing track and blended backing vocals. It is a good look and a nice preview of this very good album. Check out “Let Me Be The One” below and be sure to check out Good Life.